Mistakes forged in the past create a steely present for Maggie Carpenter, but when her mother dies, and Maggie returns to her home town, she rediscovers her desire for true happiness and a life with the only man she's ever loved. 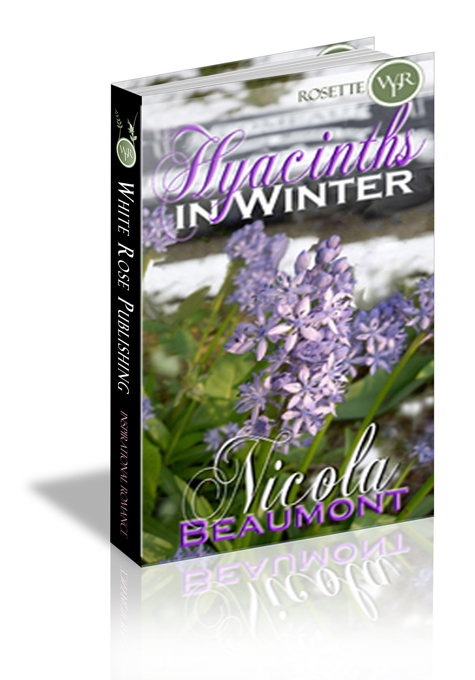 But will forgiveness be easy to find and accept, or will her sins taint her future forever? "Maggie Carpenter. I thought that was you." The sound of Cord's voice melted her insides just as it had eighteen years ago. She closed her eyes for a moment, inhaled a deep breath then turned to face him. "Randall McCord, I didn't expect to see you here." She showed him what she hoped was an amiable smile. "Mind if I sit down?" Without waiting for her to respond, he slid into the booth opposite her. Resting on both elbows, he leaned across the table. "You haven't changed a bit." Cliché answers like "obviously, neither have you" and "you're just saying that" filtered through her mind, but she settled on just smiling. He really hadn't changed much. A little extra weight-which looked like all muscle and contour-filled out the dark suit, and a thread of gray was woven into his short black hair, but it didn't age him. Instead, it looked as if a tapestry weaver had strategically placed silver highlights where they would have the most appealing affect. She had said terrible things to him before she left. She wondered why he would even approach her. She looked into his green eyes, and then lowered her gaze, unable to stare into his face without being overcome by guilt. "Why are you talking to me? I was horrible to you." He reached across the table and briefly touched her arm, drawing her attention. "That was a lifetime ago, Maggie. What kind of person would I be if I held a grudge that long? What kind of a Christian?" The shock must have registered on her face because he laughed and nodded. "Yes, I'm a Christian now." His expression turned somber. "Thanks to you and your mother." "Thanks to...me and my mother?" That revelation was even more shocking than his conversion. She'd done nothing but break his heart, and her mother was such a bull, she'd as soon trample someone than persuade them of anything. But that didn't matter now...Or, maybe now was when it mattered most. A fresh wave of sadness rushed over her. She shook it off and focused on Cord. Before he could answer, a waitress approached the table and asked if they were ready to order. Cord shook his head, and Maggie ordered a Western burger-a Rustler's Roundup specialty that was a quarter-pound of charbroiled Angus smothered in Mrs. Sinclair's famous sauce, sautéed mushrooms, onions and red bell peppers. Cord chuckled. "Still a healthy eater, I see." She shrugged. "Some things never change." She eyed him. "But you evidently did."